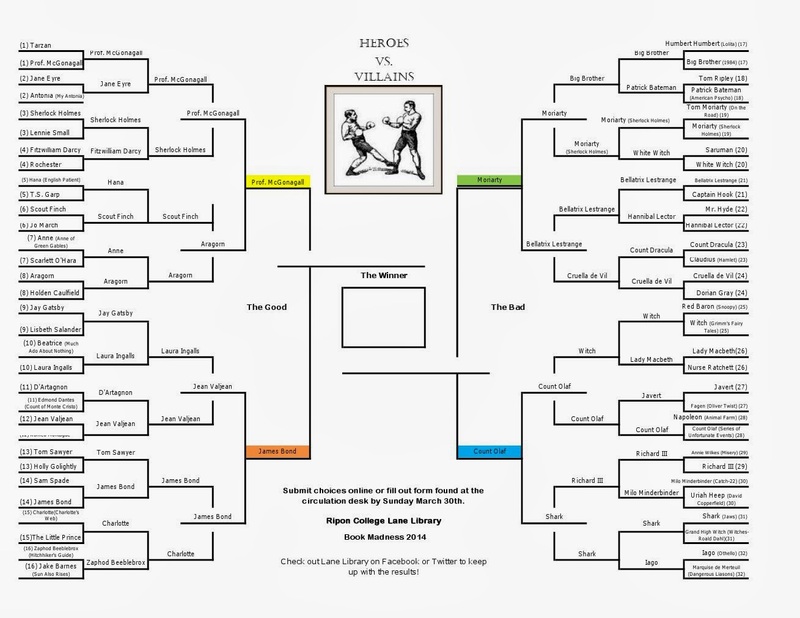 The Championship Round has been decided! Our hero is Professor McGonagall from the Harry Potter series, and our villain is Moriarty from "The Adventure of the Final Problem" (Sherlock Holmes). Now it is your turn to decide if good or evil will reign overall. Vote below by Wednesday, April 2.
Who would win? Hero or Villain? Wondering how Professor McGonagall became our final hero, or curious as to the road Moriarty had to take to get to the final? Look at the complete bracket below. 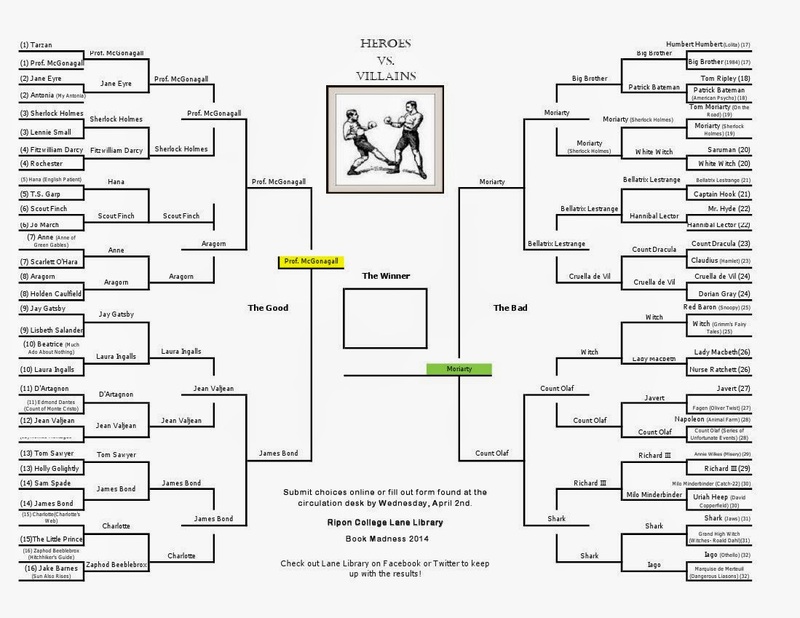 The last round had very similar margins, with Moriarty and Professor McGonagall winning each of their battles by about 67%. Click on the picture below to see the names a little better, but you might want to get your glasses out one last time. Voting on our Championship Round of Heroes and Villains will continue through Wednesday, April 2nd, and the ultimate winner will be announced on Thursday, April 3rd; stay tuned to our Facebook and Twitter pages for updates. As before, voting is open to everyone, but we again have only a few short days before a final winner will be announced.